A “climate of impunity” has taken hold in parts of Europe, where media freedom is increasingly under attack, the annual report to the Council of Europe Platform for the Protection of Journalism and Safety of Journalists has warned. The authors of “Democracy at Risk: threats and attacks against media freedom in Europe”, published on Tuesday (12 February), assessed media freedom in Europe based on the 140 serious media freedom violations reported to the platform in 2018. Last year, according to the report, was the worst for journalists in Europe since the Cold War. Out of the 140 alerts, 56 (40%) are of level 1, which covers the most severe violations to media freedom such as mortal and physical attacks on journalists, the statistics indicate. In 80 alerts, the state has been identified as the source of the threat, while 29 originate from a non-state actor, and 31 from an unknown source. While the number of threats reported, including death threats, doubled last year, there has also been no progress in moving prosecutions for a number of long-standing cases of murdered journalists. In 2018 there were 17 individual cases where murders of journalists had gone unpunished. 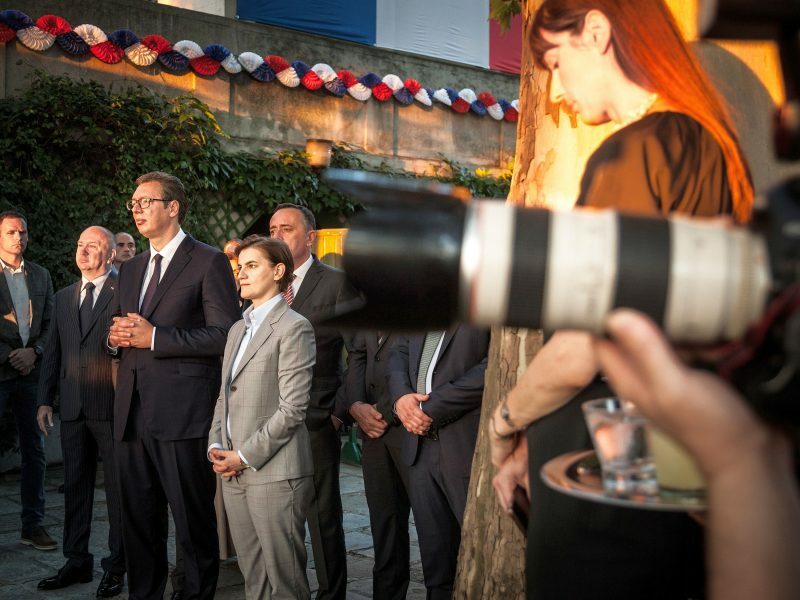 “The murders of Daphne Caruana Galizia in Malta in 2017 and of Ján Kuciak and his fiancée in Slovakia in 2018 have dramatically raised public and official awareness in the EU of the twin crisis of journalist safety and impunity that has already taken root within the bloc as well as in other parts of the Council of Europe area,” the report states. Meanwhile, the killing of Jamal Khashoggi in the Saudi Arabian consulate in Istanbul remains under investigation. In addition, journalists continue to be arbitrarily detained while a number of new legislative initiatives have weakened media freedom. The Platform recorded 130 cases of journalists in detention at the end of 2018, including 110 journalists jailed in Turkey, 11 in Azerbaijan, five in the Russian Federation and four in Ukraine. 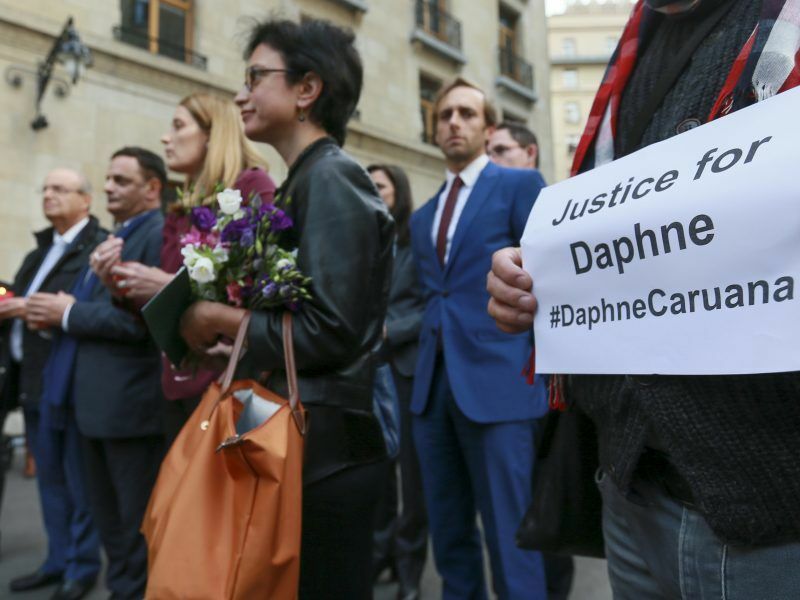 A year after a car bomb killed Maltese anti-corruption journalist Daphne Caruana Galizia, those who ordered the murder remain free while others continuing her work in the EU’s smallest state are branded traitors. According to the authors, Italy, Hungary, Russia and Turkey, stand out as the worst offenders from the statistics. The number of violations in Italy reported to the Platform more than tripled compared to 2017, leaving the country as the EU member state with the highest number of reported media freedom infractions. Although mafia and organised crime remain one of the biggest threats to Italian journalists, the majority of alerts recorded in 2018 were submitted after the election of the new coalition government. “The government’s two deputy prime ministers, Luigi Di Maio and Matteo Salvini, regularly express through social media rhetoric particularly hostile to the media and journalists,” the report states, citing the example of Salvini threatening to remove police protection for investigative journalist Roberto Saviano, despite the known threats to his life from criminal organisations. Hungary, the other EU member criticised in the report, was cited for the “very high concentration of media in the hands of pro-government oligarchs” with the government “exerting de facto control over most of the country’s media”. 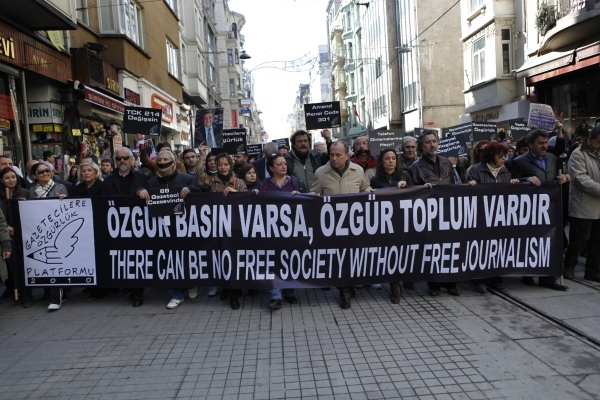 Meanwhile, the report highlighted the declining space for free speech in Turkey, where under the state of emergency imposed after the attempted coup in July 2016, more than 200 journalists have been arrested or detained because of their publications. 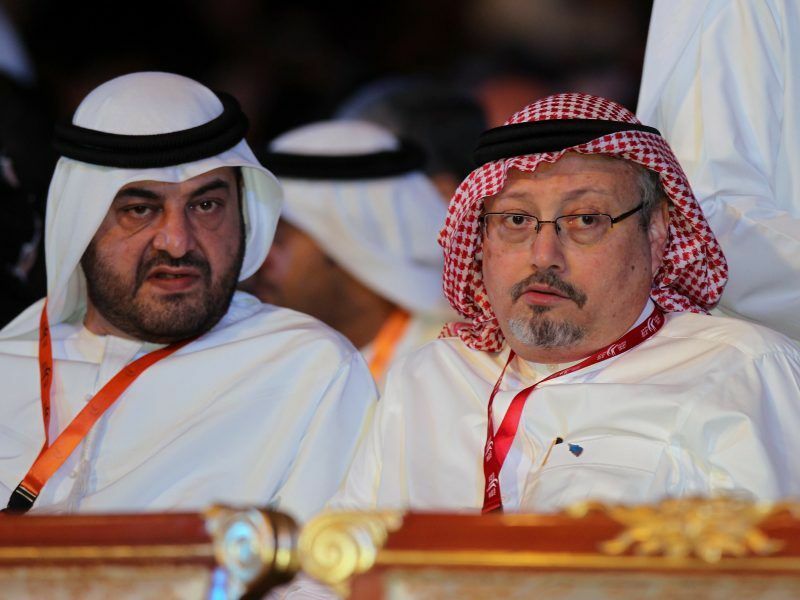 Messages obtained from the WhatsApp account of murdered journalist Jamal Khashoggi shine a light on the possible reasons behind his death, depicting the full extent of his animosity towards Saudi Arabia and his plans to establish an “electronic army” of activists against the regime. In Russia, independent journalists and bloggers face intense physical, legal and financial pressures, after legislation was signed into law in 2018 that provides the Russian authorities with additional tools to restrict access to information, carry out surveillance and censor content, including the state regulator’s attempts to block the application Telegram.